Do you ever have those days when you hit the ground running, when you feel excited about what you do, when you feel like you make a difference? Daniel M. Cable (@DanCable1), Professor of Organizational Behavior at London Business school, argues that we have those days when our “seeking system” is engaged. The “seeking system” is that part of you that is curious to learn more, that wants to experiment and to learn. When our seeking system is engaged, we feel like we are able to express ourselves and live out a sense of purpose; we have “zest” for life. Unfortunately, argues Cable, most modern management practices are based on concepts grounded in the Industrial Revolution; namely, that employees’ value is based on production, and the best way to increase production is to measure everything and then set up rewards and punishments based on employees’ ability to hit those targets. Unfortunately, the seeking system is shut down when fear and anxiety is engaged. When employees are concerned about getting their bonuses or busy trying not to get fired, they are easily controlled, which is attractive to management. However, in today’s fast-paced world, a company’s ability to survive is tied to its employees’ ability to innovate, and that can’t happen in traditional management structures. When a person’s seeking system isn’t engaged, they feel like whatever they do is pointless and doesn’t matter, and they take on a “learned helplessness”; they become depressed and don’t want to get out of bed in the morning. As compassionate employers and managers, it’s our duty to encourage a positive workplace environment where employees are free to experiment and express themselves, which will also likely result in a more productive and profitable company. Cable breaks his book into three essential components of engaging the seeking system. Self-expression: It can sound like a cliche, but employees need to be encouraged to “bring their best selves to work”. When people feel vulnerable, (for example having to share information about themselves during a new-hire orientation session), people’s fear system is activated and productivity slows down. When people are encouraged to think about what good qualities they have and feel the freedom to express those qualities, they will perform better. Cable sites examples of new hires introducing themselves to others and talking about what they are good at, as well as employees being allowed to give themselves their own job titles (such as “Minister of Dollars and Sense” instead of COO, and “Dutchess of Data” instead of Database Administrator.) When people can express themselves, they feel like they are personally contributing to the company, not just being manipulated as part of a 5 year plan. Experimentation: When people are assigned a task and feel like they are graded on it, the fear system kicks in. However, if people are presented a task but it is positioned as a learning opportunity, their seeking system is engaged. Although companies do have core businesses and tasks that need to be accomplished, it’s important that the element of play is not lost; that employees are allowed to experiment in ways in which they are relatively free of feelings of risk and failure (such as allowing programmers to have several days off to partake in hack-a-thons and the like). However, as Cable points out, even “fun” activities such as a hack-a-thon can become codified (“let’s do a hack-a-thon every quarter”) so the process part of it squeezes out the fun that originally made it worth doing. So, the paradox is that it takes work to find ways to keep people feeling like they can experiment and express their creativity. The bottom line is that you must experiment with positive forms of experimentation! And that’s the thing about purpose: in order to activate the seeking system, it needs to be felt. Purpose is not something logical and rational, something you hear about and then process in a cognitive way. … Simply telling someone the purpose of their work is like telling them about a good book that you have read. Even if it is good, they probably won’t recommend it to one of their friends until they read it themselves and experience it firsthand. This book struck home for me and it jives with other research and books I have read, but more importantly, it resounds within me. One of the great things about working for myself is the fact that I have the ability to decide what I want to do; truly, I am in a position to maximize my own self-expression, right? However, unlike many of the examples presented in the book, I don’t work for an employer who can just give me a week or a month off of work to play and experiment! As the CEO and Chief Bottle Washer, I can often get sucked into the day-to-day grind of client emergencies, reading e-mails from Microsoft and vendors about their products, trying to stay on top of new technology, filing employment and tax and legal and payroll paperwork with Illinois and Missouri and the Federal government, etc. etc. This book has been a good reminder for me to step outside of that for a minute to remember what is fun about my job and what my sense of purpose is, other than paying the bills. As a consultant, my job is to institute change at companies by implementing new software. As much as I try to help my clients see that the new software will make their lives better and to get as excited about it as I do, I sometimes feel like a dentist. Many times clients wrap a project like they just got a filling. (“Well, I know that’s supposed to be good for me, but thank goodness that’s done with!”) Three of my clients are non-profit organizations which work with children. Sometimes I have to remind myself that what I’m doing is helping caregivers follow protocol, or have better ways of communicating with staff, so that ultimately they can provide better care to children. Or even working with for-profit companies, if I know someone gets to save 10 minutes a day from having to do some boring, repetitive task, I feel like I’ve, in some small way, improved someone’s life. While getting paid to create on-demand training pays the bills, it does take away the immediacy of feedback from students who let me know, “What you taught me made me better at my job! 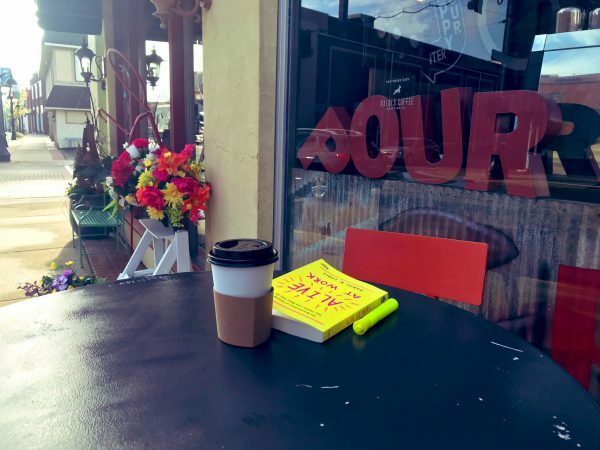 Thanks!” Reading this book is encouraging me to step outside of the recording booth and look for ways to do some in-person training again, just to reconnect with what it is I love to do. I highly recommend this book. It’s a quick read and while written by a professor, doesn’t feel terribly academic. Here’s a video by Dan Cable talking about some of these idea. What about you? 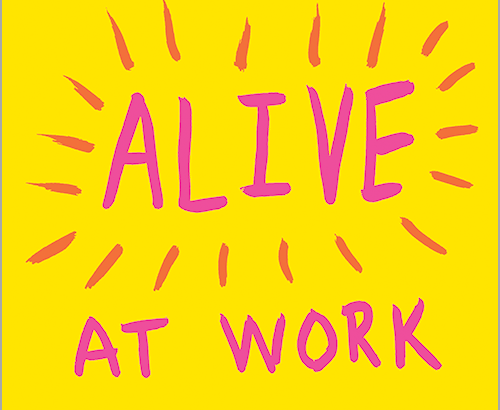 What kind of activities do you do, or do you see executed by management at your company, that help you work with a sense of self-expression, experimentation, and purpose, to feel alive at work? Please leave your thoughts in the comments below! Wrox SharePoint 2010 Six-in-One is Published!